These brief descriptions of the collections at the Austin Seminary Archives include links to complete finding aids and inventories. The archives has additional collections that have not yet been fully cataloged, please contact the archivist if you have any questions about accessing our holdings. Many researchers are interested in researching the history of their congregation. We have created an index of congregational materials throughout our collections, arranged by state, city, and church. You can view the index here. Inventories for collections referenced in the index are available below. The Advanced Religious Study Foundation was formed in 1955 with the purpose of supporting the advancement of Christian religious education through the establishment of scholarship funds and the support of institutions engaged in the preparation, education, and training of religious leaders. Eighteen inches of correspondence, board minutes, financial reports, grant reports and curriculum reports (1955-1977) are arranged in eleven series to document the creation and activities of the Advanced Religious Study Foundation. William Youel Allen (1805-1885) was a Presbyterian minister in Kentucky, Texas and Indiana. Allen was chaplain of the Texas Senate in 1838, and organized a church in Houston in March 1839, as well as another in Austin in October of that year. In 1840 he founded a church in Columbia, Texas. Allen participated in the organization of the Presbytery of the Brazos in April 1840. He returned to Kentucky in 1842, served as president of Danville College and later as pastor in Bethany, Kentucky. The last fourteen years of his life were spent as a pastor in Rockville, Indiana. This collection consists of diaries and sermons written by Allen from 1835-1848. The American Home Missionary Society was formed in May 1826 by members of the Presbyterian, Congregational, Dutch Reformed, and Associate Reformed churches with the intention of helping congregations financially so that they could support an established minister and coordinating interdenominational missionary activities across the United States and its territories. This collection consists of 385 reels of microfilm and one printed index of the American Home Missionary Society records (1816-1936), and includes correspondence and printed material. The records are grouped into five series: incoming correspondence (1816-1983 and undated); outgoing correspondence (1826-1894 and undated); administrative material (1821-1893 and undated); annual reports (1826-1936); and The Home Missionary (1828-1909). The originals of these records are held at the Amistad Research Center at Tulane University in New Orleans, Louisiana. Jessie Daniel Ames (1883-1979), a friend of Thomas White Currie’s, was prominently involved with the Atlanta-based Commission on Interracial Cooperation (CIC). In 1930, in Atlanta, Ames founded the Association of Southern Women for the Prevention of Lynching (ASWPL). The ASWPL was designed to prevent lynching by collecting information about its causes and informing and educating southerners about the facts surrounding actual lynchings. The collection consists of two inches of material, comprising one photograph, one news clipping, typewritten notes, and multiple publications including pamphlets, bulletins, and reports. The collection is divided into two series: Association of Southern Women for the Prevention of Lynching (1930-1944), and Commission on Interracial Cooperation (1940-1943). John Anderson (1803-1884) was a Presbyterian minister and educator in Clarksville, Texas in the 1800s. The topic of the sermon is Matthew 18:3. John Franklin Anderson, Jr. (1920-2009) was a Presbyterian pastor and leader in Florida and Texas. He obtained a bachelor’s degree from Austin College in 1941 and a Bachelor of Divinity from Union Theological Seminary in Virginia in 1944. Anderson served the First Presbyterian Church of Tyler, the First Presbyterian Church of Orlando, and the First Presbyterian Church of Dallas. He was also involved in Presbyterian leadership, including service as president of the Greater Dallas Community of Churches and as moderator for the General Assembly of the Presbyterian Church in the U.S. He played an important role in the reunion of the United Presbyterian Church in the U.S.A., which resulted in the current Presbyterian Church (U.S.A.). Austin Presbyterian Theological Seminary chose to honor Anderson and his wife, Nancy, by naming a new dormitory on campus after them. The John F. and Nancy Anderson House was completed in 2009. The John Franklin Anderson, Jr. Collection is comprised of newsletters, programs, invitations, books, architectural design drawings, a CD-ROM, DVDs, and a VHS tape. The Apollo Prayer League was founded by NASA scientist and chaplain, Rev. John M. Stout in 1968 in reaction to the deaths of his friend Edward White II and two other astronauts during the Apollo 1 fire at Cape Kennedy. The mission of the Apollo Prayer League included forming a prayer network for the safety of astronauts and other NASA employees, engaging in humanitarian efforts, and working to land a Bible on the moon. This artificial collection consists of correspondence, printed material, photographs, and pieces of microfilm relating to the work of the Apollo Prayer League. Marshall Herff Applewhite (1901-1971) was born in San Antonio, Texas on September 3rd, 1901. Applewhite, a Presbyterian minister, was licensed and ordained in 1929 after receiving degrees from the University of Texas and the Austin Presbyterian Theological Seminary. He served as pastor at many churches in Texas, was stated clerk of the Fort Worth and John Knox Presbyteries, and worked extensively with the Presbytery’s Home Missions Committee on new church development. Applewhite was notably involved in the founding of the Woodlawn Presbyterian Church in Corpus Christi, Texas in 1946. This collection contains correspondence, reports, printed material, and pastor’s records books relating to Applewhite’s ministerial career in Texas, particularly his work with various committees in the Presbyterian Church. The material is arranged in two series: Committee Work (1944-1967) and Pastoral Records (1945-1970). Austin Presbyterian Theological Seminary (APTS) was established in Austin, Texas in 1902 by Dr. Robert Lewis Dabney and the Rev. Richmond Kelley Smoot with the mission of educating and equipping ministers for the Southwestern United States, and the central Austin campus community is still pursuing those goals today. The Austin Presbyterian Theological Seminary Audiovisual Collection includes audio cassette tapes, VHS video tapes, CDs, DVDs, and other formats documenting seminary events from 1960 to the present day. The collection is divided into categories (Lectures / Graduation / Publicity and campus footage / Special Events / Chapel recordings / Board of Trustees / Centennial celebration / Interviews / Library Course Reserves / Unidentified) based on the subject matter. More information concerning the format, lecture titles, and contents of specific materials is located on an accompanying spreadsheet. Austin Presbyterian Theological Seminary (APTS) was established in Austin, Texas in 1902 by Dr. Robert Lewis Dabney and the Rev. Richmond Kelley Smoot with the mission of educating and equipping ministers for the Southwestern United States, and the central-Austin campus community is still pursuing those goals today. This collection contains photographs, negatives and contact sheets dating back to 1921 and running up to the current day document seminary life, buildings and grounds. Photographs are arranged in two groups. The first group of photographs is arranged chronologically and by subject categories (Student Life, Education, Faculty / Staff / Administration / Organizations, Events, General, Graduation, and Negatives) where applicable. Photographs in the second group, Campus Photographs, are arranged by building. The Austin School of Theology was established in 1882 by Richmond Kelly Smoot, the pastor of the Southern Presbyterian Church in Austin. He was joined by Robert L. Dabney in 1884. Classes were initially held in Smoot’s study, then in the basement of the church until a separate building was built for the school. The school closed operations in 1895 after training forty-four ministers. After its closing, all assets were transferred to the Austin Presbyterian Theological Seminary. The Austin School of Theology Records consists of two inches of material (bulk 1887-1899). The foundation and curriculum of the school is documented in the “Charter, Constitution and By-laws of the Business Corporation of the Austin School of Theology at Austin, Texas” as well as the annual catalogues of the school. Also documented is the founding and work of the Alumni Association of the Austin School of Theology. Daniel Baker (1791-1857) was a founding member of Austin College (1849), served as a general agent for collecting funds for the college, and was president from 1853-1857. Daniel Baker College in Brownwood was posthumously named in his honor. This collection contains two handwritten letters from Daniel Baker to John Story regarding Austin College, written in 1854. Harris Parker Bates (1888-1937) was a Presbyterian minister in Texas who graduated from Austin Presbyterian Theological Seminary in 1915. He was ordained by Fort Worth Presbytery and became the pastor in Spur and stated supply in Crosbyton and Lorenzo, Texas from 1915-1917. He was then pastor in Ballinger (1917-1920), San Marcos (1920-1927), and at Westminster Presbyterian Church in San Antonio (1927-1937). These papers consist of nine sermons and two funeral services that occurred at Westminster Presbyterian Church in San Antonio, Texas (1929-1937). Beginning in 1930, Austin Presbyterian Theological Seminary offered through the Extension Teaching Bureau of the University of Texas correspondence courses in Bible lessons to University of Texas students. The courses were originally administered by APTS President Thomas White Currie with the help of Professor Samuel Joekel as part of Currie’s work with the University of Texas YMCA’s Association of Religious Teachers, which sought to develop religious courses for which the university would give credit. APTS taught the Bible, while institutions representing other denominations offered courses covering other Christian topics. Joekel became the primary contact for the courses in the 1940s after Currie’s death, and Professor C. Ellis Nelson took over in the 1950s. It is unclear what became of the program, but it ceased to be listed in the APTS Bulletin after the 1958-1959 school year. This collection is comprised of two and a half inches of lectures and lessons, arranged by course. Each course contains a series of paired narrative lectures and lessons, each on a different book, chapter, or verse from the Bible. The lessons generally call for the student to write essays on the topic at hand. Reverend Malcom Black (1854-1948) was licensed and ordained as a Presbyterian minister in 1884. was an active member of the church and of the communities in which he lived in Texas, organizing YMCAs and churches while working as a pastor, financial advisor, and briefly as Superintendent of Schools. Black retired in 1910, but continued to preach and attend church conferences until his death. This collection contains correspondence, creative works including essays and sermons, class exercises, photographic material, printed material, and certificates that document the personal life and educational and ministerial work of Malcom Black. The material is divided into five series: Correspondence (1879-1919, 1989), College and Seminary Coursework (1973-1892 and undated), Sermon Material (1884-1892 and undated), Photographic Material (1933, 1936 and undated), and General (1860-1923 and undated). Robert Douglas Brackenridge (1932 - ) is a Presbyterian educator and historian in Texas. In 1962, Brackenridge began his teaching career as an assistant professor of the department of religion at Trinity University in San Antonio, TX. Brackenridge continued to teach at Trinity University for 38 years, becoming an associate professor in 1966, a professor in 1974, and the chair of the department of religion in 1977. Brackenridge retired from teaching in 2000. In this collection, five inches of drafts, notes, minutes, reports, printed materials, correspondence, ledgers, photographic material, and maps (1886-1975) are arranged in four series to document Robert Douglas Brackenridge’s research for Iglesia Presbiteriana: a History of Presbyterians and Mexican Americans in the Southwest. Henry Brown (1804-1881), a Presbyterian minister, was born in Rockbridge County Virginia to the Rev. Samuel Brown and Mary Moore Brown. He and his wife, Mary S. McNutt had seven children and served congregations in Virginia, North Carolina, and Tennessee. This is one bound volume of thirteen hand-transcribed sermons, all believed to have been written by Henry Brown. Robert Franklin Bunting (1828-1891), a Presbyterian minister and Confederate Army chaplain, was born in 1828 in Pennsylvania. Bunting entered Princeton Theological Seminary in 1849 and graduated with a Bachelor of Divinity degree in 1851. After preaching around Pennsylvania for a year, Bunting was ordained an “evangelist to Texas” at his own request. After arriving in Houston and spending some time there, Bunting’s first mission circuit was performed in the Colorado Valley in 1852. In 1856 Bunting went to San Antonio where he, in conjunction with Rev. John C. McCullough and Dr. Daniel Baker, revitalized the small congregation there and established a church. Bunting served as pastor at this church, the First Presbyterian Church of San Antonio, for several years, until he received the call to be a chaplain in the Confederate Army in the American Civil War. After the war Bunting remained very active in the church, serving as Moderator and Stated Clerk of the Synod of Texas, Commissioner to General Assemblies, on the board of Daniel Baker College, helping to found The Texas Presbyterian, the first Presbyterian newspaper in Texas, in addition to serving as an amateur historian of Presbyterianism in Texas. This collection consists of five inches of manuscript material, correspondence, photocopied and typescript copies of archival research material including minutes, sermons, congregational records, and correspondence (1847-1947) describes and documents the ministerial career of Robert Franklin Bunting, particularly as an evangelist and Confederate Army chaplain in Texas. This collection was created and maintained by Henry Stanhope Bunting, Robert Franklin Bunting’s son. William J. Burger (1913-2006), a Presbyterian minister, was born in Trenton, New Jersey. He served as minister at the New Boston Presbyterian Church in New Boston, New Hampshire from the early 1950s until the spring of 1955. The collection is comprised of four communion tokens from New Boston. It was customary for communion tokens to be handed out at the Wednesday night prayer meeting, making the bearer of the token eligible to receive communion on Sunday. Robert Houston Caldwell (1829-1900) was a Presbyterian pastor from North Carolina who served churches in Bethany, Bethesda, and Fifth Creek in Texas (1868-1871); stated supply for Greenwood, Forest Grove, and Carthage churches in Mississippi (1871-1977); stated supply for Sulphur Springs and surrounding churches in Texas (1877-1884); and stated supply in Reilly Springs, TX (1891-1892). In 1897, he left the Presbyterian Church, U.S. for the Cumberland Presbyterian Church. These papers consist of a manuscript detailing the history of the Reilly Springs Presbyterian Church and a sermon on atonement (1891-1897), both written by Caldwell. Anthony Foster Golding Campbell was a Presbyterian from South Carolina who traveled to the General Assembly in 1845. This collection consists of a 1955 typed transcribed copy of a letter originally written in 1845. The letter was written by Campbell to his father, Robert Erskine Campbell, a doctor in South Carolina. Robert Douglas Campbell (1870-1955), Presbyterian pastor, attended Austin College from 1891-1894 and received a Bachelor of Arts. Upon graduating, he attended Union Theological Seminary of Virginia in Richmond until 1897. After his ordination in 1898, he served as a pastor in Texas in addition to participating in home mission work with Mexicans in Texas. Campbell also served as a Spanish tutor at Austin Presbyterian Seminary. This collection consists of a memo describing the actions of the Texas-Mexican Presbytery after Reverend Gumesindo Balderas’ death and a letter discussing a possible business trip and the appointment of a teacher for Mexican children. Bernhard Citron, (b. 1905), Presbyterian pastor and educator, was born in Berlin, Germany in 1905. Raised in the Jewish faith, Citron did not convert to Presbyterianism until he was forced to flee Germany during the 1930s for writing anti-Nazi articles in a financial publication. In 1938, he enrolled in the New College in Edinburgh, Scotland, however he was imprisoned in 1940 due to his illegal alien status. He was released and able to resume his studies in 1941 and was licensed in 1943. In 1946, he earned his Ph.D., also from the New College, and was appointed the Warden of New College Settlement. From 1947-1952, Citron taught at New College; from 1953-1955, he was a visiting professor at Austin Presbyterian Theological Seminary. In addition to his teaching, he authored several books. He served as a pastor at Harthill, the parish of Uphill, and Pleasance church, all in Scotland, as well as in Honeywood, Ontario, Canada. The Bernard Citron class register and notes document Citron’s role as a professor. The class register lists student rolls and grades received. Student grade information is restricted. An artificial collection created by the Austin Seminary Archives. Primarily church histories and other historical records of congregations and Presbyteries in the Synod of the Sun. Divided into Texas and non-Texas churches and organized alphabetically by city and then by church name. Presbytery materials are listed at the end of the inventory. Frank Lapham Crown (1914-1985) was a Presbyterian minister in Texas and New Mexico. This collection is comprised of a single item, “The Wisdom Literature of the Old Testament,” a manuscript written by Crown. The manuscript is a quarter of an inch thick and is undated. Language: Materials are written primarily in English. A small amount of scrapbook material is in Spanish. Thomas McHutchin (T.M.) Cunningham (1887-1979) and Hilda Lydia Hugon Cunningham (1898-1989) were married February 14, 1923. The couple had one daughter, Hilda Grace (Tinker) Cunningham Rautenberg, born in 1928. Both T.M. and Hilda were very active in the Presbyterian Church in Texas. T.M. received a Bachelor’s degree of Divinity from the Austin Presbyterian Theological Seminary in 1916, and his Doctorate of Theology from Union Theological Seminary in Richmond, Virginia in 1932, where he wrote his thesis on “Hymnology and the Music of the Church.” T.M. served in various capacities ranging from Pastor to musician to Director of Religious Education at many Presbyterian churches in Texas, primarily in the Dallas-Fort Worth area, through the 1930s. In 1933 Hilda assumed the presidency of the Texas Synodical of U.S. Presbyterian women, and she was also active with home missions. This collection consists of correspondence, printed material, scrapbooks, and photographs. Two inches of manuscript material, one inch of photographs, and four inches of personal papers document the lives of the Currie Family, including Thomas White Currie (1879-1943) a Presbyterian minister, professor, and the third president of Austin Presbyterian Theological Seminary; Jeannette Ella Roe (1883-1946); Thomas White Currie, Jr. (1914-2004); Stuart Dickson Currie, (1922-1975); and Elizabeth Jeanette “Bettie” Currie, (1924-2016). The materials are divided into six subgroups for the papers of individual family members with the exception of the sixth group, which has material belonging to multiple family members mostly in the form of correspondence addressed to the family. John William Currie (1887-1951) was a Presbyterian minister in Mississippi, Texas, and Louisiana as well as a professor at Hampden-Sydney College in Virginia and Texas Presbyterian College in Milford, Texas. This collection consists of two pastoral record books kept by Currie from 1911-1926 containing registers of baptisms, marriages, membership rolls, funerals, and a log of sermons and locations where they were preached, including many revival meetings. Currie served in multiple locations, but the sermons are primarily from Cameron, Georgetown, Marlin, Mart, McKinney, and Milford, Texas and other pastoral care is primarily with the Cameron, Marlin, and McKinney churches. Thomas White Currie, Jr. (1914-2004), a Presbyterian pastor, historian, and writer, was born in Austin, Texas in 1914 to Thomas White Currie, the third President of the Austin Presbyterian Theological Seminary. Currie Jr. grew up on the campus of the seminary, and though he first earned degrees from the University of Texas and Union Theological Seminary, New York, Currie Jr. later returned to Austin Presbyterian Theological Seminary for his Th. M., which he earned in 1952. Currie Jr. was ordained and installed at Eliasville, Texas, in 1941, and served at churches in Dallas and Houston, including a long pastorate at Oak Cliff Presbyterian Church in Dallas. In 1963 Currie Jr. was elected Moderator of the Synod of Texas, and from 1963 to 1967 served as Executive Secretary for Church Extension for the Presbytery of Brazos, during which time he played a role in the founding of several churches. A great lover of history, Currie Jr. helped found the Presbyterian Historical Society of the Southwest and served as its executive secretary for the Synod of the Sun. This collection is divided into three series: Th. D. Thesis—A History of Austin Presbyterian Theological Seminary (1955-1958), Austin Presbyterian Theological Seminary History: A Seventy-Fifth Anniversary History (1972-1977), Sermons and Related Material (1944-2001), Creative Works (1977-1993), and General (1936-2001). Robert Lewis Dabney (1820-1898) was a Presbyterian theologian and educator in Virginia and Texas. During the Civil War Dabney served as both a Confederate Army chaplain and the chief-of-staff for Stonewall Jackson. In 1883 he accepted the chair of mental and moral philosophy at the University of Texas at Austin. In 1884 he founded the Austin School of Theology, a predecessor of the Austin Presbyterian Theological Seminary, with R. K. Smoot, a Presbyterian pastor. This collection consists of five letters written by Robert Lewis Dabney between 1889 and 1894. Two of the letters are written to Edward Owings Guerrant (one of which includes an enclosed letter from S. P. Lees to Guerrant), and three are written to George Summey. Topics of the correspondence include the founding of the Austin School of Theology, R. K. Smoot, the University of Texas at Austin, and the Southern Presbyterian Church. Robert Lewis Dabney (1820-1898) was a Presbyterian theologian and educator in Virginia and Texas. During the Civil War Dabney served as both a Confederate Army chaplain and the chief-of-staff for Stonewall Jackson. In 1883 he accepted the chair of mental and moral philosophy at the University of Texas at Austin. In 1884 he founded the Austin School of Theology, a predecessor of the Austin Presbyterian Theological Seminary, with R. K. Smoot, a Presbyterian pastor. This is an artificial collection compiled in 1993 by former Stitt librarian Genevieve Luna. This collection consists of six inches of photocopies of published writings by Dabney from various sources as well as several reviews of his writings by other authors. This collection is divided into two series, Publications by Dabney and Reviews of Dabney’s writings. The writings are arranged in chronological order by date of publication. Dabney’s works generally concern Southern Presbyterianism during the Civil War era or the Confederacy and Thomas “Stonewall” Jackson. Daniel Baker College was founded by the Presbyterian Church (U.S.A.) in Brownwood, Texas in 1890. Rev. B. T. McClelland served as its first president. This collection consists of printed material documenting the college, including: announcements, bulletins, catalogues, a financial report and one issue of Daniel Baker Collegian, the school’s literary publication. Lewis R. Donelson (1949- ) was a Professor of New Testament at Austin Presbyterian Theological Seminary and an ordained minister in the Presbyterian Church (U. S. A.). This collection contains the personal and professional materials of Lewis R. Donelson. 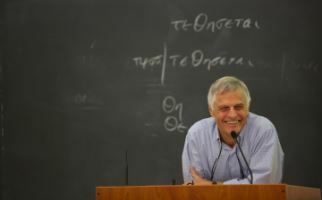 Taken from his office at Austin Seminary at his time of retirement, the materials document Donelson as New Testament scholar, Austin Seminary faculty member, and minister. The collection is arranged in eight series: Personal Materials, Teaching Materials, Student Materials, Conferences, Lectures and Sermons, Writings, Notes, and Collected Publications. John Chrysostom Dougherty III is a Texas lawyer who is active in many philanthropic religious, civic, and legal organizations. Dougherty is a founding director of Texas Appleseed, an association dedicated to promoting social justice and providing legal service to the poor. This collection includes material documenting Dougherty's work with The Advanced Religious Study Foundation, the Faith and Order Study Conference and the Faith and Life Community. George Ewing Eagleton (1831-1899), a Presbyterian minister and evangelist, was born December 31, 1831 in Murfreesboro, Tennessee. Eagleton was licensed in the Presbytery of Shiloh, and attended Union Seminary in New York. A supporter of the South, Eagleton was a Chaplain in the Confederate Army during the Civil War for the Tennessee Volunteers, 44th Regiment. After his honorable discharge in 1862, Eagleton and his wife, Mary Ethlinda Foute, traveled to Arkansas and Texas where Eagleton played a part in organizing several churches. The collection consists of two and a half inches of sermons, correspondence, historical sketches, and documents relating to the Confederate States of America documenting the pastoral career of William Ewing Eagleton, particularly in the Civil War era American South. The material is organized in two series: Ministerial, 1848-1897, and General, 1822-1925. Marvin Eickenroht (1898-1969) graduated from The University of Texas at Austin with a bachelor’s degree in architecture in 1920, and then moved to Dallas and later, in 1925, began practicing in San Antonio. He worked for several firms before opening his own office in the Maverick Building on East Houston Street in 1927. From 1927 to 1934, he completed commissions for schools, theaters, libraries, and churches in Seguin and San Antonio. Eickenroht’s first commission for the Austin Presbyterian Seminary was the chapel, 1940-42. He designed a number of other buildings for the Seminary throughout the 1940’s, 1950’s, and 1960’s, including the Stitt Library and several student housing projects. Marvin Eickenroht died in San Antonio on February 22, 1969. The Marvin Eickenroht papers include correspondence, architectural drawings, printed material, maps, and financial documents related to Eickenroht’s professional work for the Austin Presbyterian Theological Seminary. The First Presbyterian Church of Ft. Smith was established in 1846. During the period 1925-1944, it was in the Presbytery of Washburn, the Synod of Arkansas. Rev. Frank Pearson Anderson was Pastor from 1925 through June 1932. This collection contains administrative records, financial records, printed material, and documentation of the Women's Auxiliary. The First Presbyterian Church of Waxahachie, Texas was established on November 19, 1871 and discontinued operations in 1979. The church was a member of the Presbyterian Church of the United States (PCUS). Waxahachie is located about thirty miles south of Dallas in Ellis County. This collection consists of .75 inches of reports, articles, correspondence, programs and other material documenting the history of the First Presbyterian Church of Waxahachie. William Jethro Fogleman (1928-2000) was a Presbyterian pastor and educator in Texas and Arkansas. After earning degrees from Austin College and the Austin Presbyterian Theological Seminary, he was ordained and served as pastor in Lonoke, Arkansas. He then became the Director of Christian Education for the Synod of Arkansas from 1955-1960. After this, he returned to Texas for three years for a professorship at Austin Presbyterian Seminary. In 1963, he moved back to Arkansas to serve as pastor in Little Rock before permanently settling in Texas. He became the executive presbyter of Brazos Presbytery from 1967-1972 before becoming the executive of the Synod of Red River from 1973-1980. He was instrumental in the reunification of the Synod of Red River (Presbyterian Church, U.S.) and the Synod of the Sun (Presbyterian Church, U.S.A.), and served as executive for both synods from 1980-1983 and for the reunited Synod of the Sun from 1983 until his retirement in 1993. The William Jethro Fogleman collection is comprised of a typed transcript of an oral history interview conducted in 1978 discussing Fogleman’s work with the Brazos Presbytery and a collection of reflective writings by Fogleman. William Hague Foster Jr. (1918-1999) was a Presbyterian minister in Texas and Virginia. He graduated from Austin Presbyterian Theological Seminary in 1942 with a Bachelor of Divinity degree, and served as a chaplain in the U.S. Naval Reserve from 1944-1946. Foster received a Master of Theology degree in 1948 from Princeton Theological Seminary and became the assistant minister at First Presbyterian Church in Houston the same year. He became pastor of Trinity Presbyterian Church in Arlington, Virginia in 1952 and received an honorary Doctor of Divinity degree in 1963 from Austin College. After 23 years at Trinity, Foster moved to Sherman, Texas in 1977 and served as interim minister of First Presbyterian Church in Denison. He left Denison and served for nearly seventeen years at First Presbyterian Church in Whitewright before retiring from the ministry in 1995. Major subjects documented in the collection include Foster’s education at both Austin Seminary and Princeton Theological Seminary and his ministry at his subsequent church appointments. The bulk of the material covering his ministry is from his time at the First Presbyterian Church in Whitewright, Texas (1979-1995). Thomas Finley Gallaher (1874-1957) was a Presbyterian minister who served primarily in Dallas, Texas. He was moderator of the Synod of Texas in 1933. He received his Bachelor of Divinity from Louisville Presbyterian Theological Seminary in 1900 and was ordained later that year by the East Texas Presbytery. After serving churches in Nacogdoches, Longview, Greenville, Sulphur Springs, and San Antonio, Gallaher became the pastor at Oak Cliff Church in Dallas where he served from 1919 until his retirement in 1948. This collection consists of a volume of notes taken by Gallaher during a course on Systematic Theology at Louisville Presbyterian Theological Seminary in the 1898-1899 school year. The volume consists of printed lecture notes pasted into the book, followed by handwritten notes taken by Gallaher on the lecture. Language: Materials are primarily written in English, with some Hebrew and Spanish. The Genesis Presbyterian Church (Austin, Tex.) records document the history of the Genesis Presbyterian Church, which was formed after Trinity Presbyterian Church and Wilshire Presbyterian Church combined in 1998. The collection also includes materials from Windsor Park Presbyterian Church, which changed its name to Trinity Presbyterian Church around 1968, but maintained the same location. Little is known about the reasons behind the name change. The Genesis Presbyterian Church is located in central Austin and is still active as of 2013. William Ezekiel Graham (1863-1936) and Robert Ethan Graham (1915-1998), his grandson, were both Presbyterian ministers in Texas. This collection consists of two inches of sermon notes, correspondence, clippings, and recorded sermons on audio CDs (1902-1998), arranged in two groups to document William Ezekiel Graham and Robert Ethan Graham’s personal and professional lives. Robert Francis Gribble (1890-1970) was a Presbyterian pastor and educator in Texas. In 1914, he received a Bachelor of Divinity degree from the Austin Presbyterian Theological Seminary. He traveled to the University of Chicago to study in the summers of 1914 and 1916. He was licensed and ordained by the Presbytery of Central Texas in 1915. From 1914-1918 he taught Hebrew at the Austin Presbyterian Theological Seminary. From 1919-1923, he was the pastor of First Presbyterian Church of Mercedes. In 1924, he achieved a Doctorate of Divinity from Austin College. During his tenure as professor at the Austin Presbyterian Theological Seminary (1923-1960), Gribble served Bartlett’s First Presbyterian Church as well as Leander Presbyterian Church. The collection is divided into eight series: Ministerial work, Education materials, Austin Presbyterian Theological Seminary Administration, Creative works, Personal material, Scrapbooks, Photographic material, and Printed material. Ronald Miller Guinn (1931-2014) was a retired Presbyterian minister who served in Texas. Guinn earned a bachelor of divinity in 1959 as well as a master of theology in 1971 at Austin Presbyterian Theological Seminary. He was ordained in 1959 and served many churches throughout Texas; he was pastor at University Presbyterian Church in El Paso (1959-1964), pastor at First Presbyterian Church in Sugar Land (1964-1968), associate pastor at St. Andrew’s Presbyterian Church in Beaumont (1968-1972), interim pastor in Beaumont (1974-1976), pastor at Highland Presbyterian Church in Tyler (1977-1986), interim pastor at Grand Avenue Presbyterian Church in Sherman. Guinn also served Hope Presbyterian Church in Austin, New Braunfels Presbyterian Church, First Presbyterian Church in San Marcos, and First Presbyterian Church in Junction. He retired in 1995. The Ronald Miller Guinn Sermons consists of 8 feet, 4 inches of sermons written and delivered by Guinn. Also included are accompanying church bulletins for the service where the sermon was preached. Stanley Robertson Hall (1949-2008) was a professor of liturgics and worship at Austin Presbyterian Theological Seminary (APTS) from 1992 until 2008. He received a B.A. in political science from Purdue University in 1971, a M.Div. from San Francisco Theological Seminary in 1975, and a M.A. and Ph.D. in liturgical studies from the University of Notre Dame in 1986 and 1990. This collection consists of 30 inches of course materials, notes, prayers, music, and church bulletins (1956-2008) arranged in two sub-groups to document Halls’ role as a professor and his involvement with the Genesis Presbyterian Church in Austin, Texas as well as the work of his wife, the Reverend Gail Snodgrass, and her role as the pastor of the Genesis Presbyterian Church. Charles Frederick Hancock (1877-1954) was a Presbyterian minister from Arkansas who served churches in Texas and Oklahoma, and as a missionary in China. Hancock earned a B.D. from Austin Seminary in 1905 (as a member of the first graduating class) and an M. A. from the University of Texas at Austin in 1926, among other degrees. This collection consists of two letters and a diary that document a portion of Charles Frederick Hancock and Mary Penick Hancock’s service as missionaries in China. Heinz Joachim Held (b. 1928) was born in Wesseling, Germany on May 16, 1928. He was conscripted into the German anti-aircraft home forces during World War II. In 1947, he began studying theology. Held was an exchange student at Austin Presbyterian Theological Seminary for the academic year of 1952-1953. After his return to Germany, he earned a doctorate of theology from Heidelberg University and was ordained in November 1957. He served as a parish pastor in Germany before taking a teaching position in Buenos Aires. Held became the president of the La Plata Evangelical Church until he returned to Germany in 1975. He held several ecumenical leadership roles as a bishop for German language congregations outside of Germany and as a representative to the World Council of Churches and other international theological organizations. The Heinz Joachim Held Slides depict Austin Presbyterian Theological Seminary, the University of Texas at Austin, Mo-Ranch, and Austin, Texas during 1952-1953. Franklin Smith Henderson (1883-1936) was a Presbyterian pastor in Texas. After earning degrees from Austin College and the Austin Presbyterian Theological Seminary, Henderson served as pastor throughout Texas: Pittsburg (1910-1911), Greenhill (1910-1911), Big Spring (1911-1914), Coleman (1914-1918), First Presbyterian/Westminster in Beaumont (1918-1921), Navasota (1921-1927), and Central Park in Houston (1927-1936). In addition, he served as stated clerk for the El Paso Presbytery (1912-1914) and the Brazos Presbytery (1933-1935). He received a Doctorate of Divinity from Austin College in 1935. These papers are comprised of letters, clippings, a program, and a resolution documenting his graduation from Austin College, his ordination, and his service to First Presbyterian Church in Beaumont. George Stuart Heyer, Jr. (1930-2015) was a Presbyterian minister in Texas and a professor at the Austin Presbyterian Theological Seminary. This collection consists of 9 inches of Heyer’s student notes, professorial notes, and related materials. Damon Douglas Hickey (1942- ), is a former Presbyterian pastor who, after earning degrees from Rice University (1965) and the Princeton Theological Seminary (1968) served as pastor in Irving, Texas until 1971 when he became associate pastor at Southminster church in Oklahoma City, Oklahoma and the pastor at First Presbyterian Church in Moore, Oklahoma (1971-1972). He moved to North Carolina and in 1975, decided to leave the Presbyterian church and join the Religious Society of Friends (Quaker church). The materials in this collection document Hicky's baptism and his service as a Presbyterian pastor from 1969-1971. Extent: 20.016 linear feet of manuscript material and a quarter inch of photographic material. Language: Materials are written in English and Spanish. The Hispanic American Institute (HAI), located on the campus of the Austin Presbyterian Theological Seminary, was founded in 1965 by agencies of the Presbyterian Church in the U.S. and the United Presbyterian Church in the U.S.A. to serve Hispanic Americans in the United States and Latin America through ecumenical advocacy, education, programing, and administration. Dr. Jorge Lara-Braud (1931-2008) and Rev. Rubén P. Armendáriz served as the HAI’s first and second directors, respectively, until the Institute ceased operation in May 1976. The records of the HAI document the formation, administration, and daily operations of the Institute and are largely textual including minutes, memoranda, agenda, financial and legal material, correspondence, clippings, notes, reports, publications, printed material, and a small number of photographs and maps. The Hispanic American Ministries Council records consists of two subgroups: Hispanic American Ministries Council –24 PDF files of digitized HAMC records from 1994 to 2004, including meeting minutes, correspondence, strategies for growing Hispanic ministry, council directories and contact sheets – and the Angie Abrego papers – 1 linear inch of correspondence and presentation drafts for “The Hispanic American Ministry Council and Its Predecessors,” a presentation on the creation of the HAMC and its growth and achievements. The Hispanic American Ministries Council (HAMC) was established in 1969 through the Synod of Texas (PCUS) to better understand and address the needs of Hispanic American members of the Presbyterian Church in the United States (PCUS), and it continued this work until 2008. Angela (Angie) Abrego had been the Coordinator of the PCUS 1990 Racial Ethnic Convocation. She joined the Synod of the Sun as interim staff in July 1991, becoming full-time in August 1992 and serving as the director of Hispanic ministries for the Synod of the Sun. Thomas Hart Benton (T. H. B.) Hockaday (1835-1918) was a Presbyterian elder, scholar, schoolteacher, and farmer in Texas. He was born in Lynchburg, Virginia and raised in Spring Hill, Tennessee. He moved to the Ladonia-Pecan Gap area of Texas to be a schoolteacher shortly after his marriage in the late 1850s. This collection consists of a commonplace book kept by T. H. B. Hockaday from 1851. The book contains handwritten notes and quotes of interest found by Hockaday during his readings, as well as clippings of articles of interest from various publications. Materials were arranged alphabetically by subject by Hockaday. Includes a handwritten list of the books in Hockaday’s library, as well as a photograph of a young boy in front of a house pasted into the inside front-cover. Hubert Hiram Hopper (1910-1976), a Presbyterian minister active in church leadership in Texas, attended the Austin Presbyterian Theological Seminary and became licensed and ordained in 1935. In 1950 Hopper received his Doctor of Divinity degree from Austin College. He served as pastor at churches in the Houston area throughout the 1930s and 1940s, and served on many committees and councils in the Presbyterian Church, notably the Synod of Texas’ Stewardship Committee and of the Synod of Texas’ Council. Hopper was Moderator of the Synod of Texas in 1951, and was Director of the Texas Presbyterian Foundation from 1953-1962. This collection contains correspondence, financial records, reports, minutes, and printed material recording the activities of Hubert Hiram in roles of church leadership, particularly on the Synod’s Stewardship Committee and the Synod’s Council. Language: Materials are recorded in Spanish. La Hora Presbiteriana (The Presbyterian Hour) was a 15-minute Spanish language radio program produced by the Presbytery of Western Texas. These programs consisted of sermons preached by different ministers and choral music. They were recorded in Falfurrias, Pleasanton, and Corpus Christi and broadcast in southwestern Texas. It was hoped they would also reach listeners in Mexico in order to serve as a missionary program. In 1954, La Hora Presbiteriana became too large of a production for the Presbytery of Western Texas, and the Synod of Texas began to oversee the operation. The program began airing in 1953 and was discontinued in 1957. This collection consists of audio tapes of the broadcasts. John Jansen (1918-1987) was a Presbyterian pastor, Austin Presbyterian Theological Seminary professor, and author. These papers papers document Jansen's teaching career at Austin Presbyterian Theological Seminary, his biblical research and his writing career. The collection is split into three series: Teaching, Writing and Research, and General. Samuel Levinson Joekel (1893-1954) was ordained by the Presbytery of Dallas, Presbyterian Church in the United States (PCUS) in 1916, and installed as pastor of the First Presbyterian Church of Clarendon, Texas, where he served for one year. In 1917, he entered the Army YMCA at Camp Travis and in 1918 was commissioned a chaplain at the chaplain's training school at Camp Taylor, Kentucky. From 1919 to 1926 Joekel served as pastor of the First Presbyterian Church of Waxahachie, Texas and taught Bible at Trinity University. In 1926 he began his twenty-eight year professorship at the Austin Presbyterian Theological Seminary as professor of English Bible and Religious Education. These papers document Joekel’s work as a Presbyterian minister in Texas, as both student and teacher at the Austin Presbyterian Theological Seminary, and his activities as a popular civic speaker and Bible teacher in the Presbyterian Church in the United States (PCUS). Particularly, Joekel’s extensive work with community, student, ecumenical, and women’s groups is documented. The papers include sermon materials, civic addresses, teaching materials, writings, letters, and clippings. Edson and Sidney Johnson served as Presbyterian missionaries in Mexico from 1950-1974. Edson Johnson spent twenty-three years serving the Mexican mission for the Presbyterian Church (U.S.) including nineteen years as the treasurer and business manager of the Mexican mission, two years as an administrator in the mission hospital Sanatorio La Luz in Morelia, Mexico, and two years as an administrator in the mission hospital Hospital La Amistad in Ometepec, Mexico. This is a digital collection, and includes 300 electronic files arranged in fifteen series. The documents were not born digital, but are digital surrogates of papers documenting the 24 years (1950-1974) during which the Johnsons were missionaries for the Mexican Mission for the Presbyterian Church (U.S.). T.S. Johnston (?-1897 or 1898) was a Presbyterian pastor who served throughout Texas. He was pastor at Walnut Grove and Beersheba churches from 1886-1891, and he also served as stated supply for Silver Creek and Lafayette (1887), Greenhill (1893-1896), Pittsburg (1893), Mount Pleasant (1893-1894), and Alpine, Golden Rule, and Big Sandy (1897). The T.S. Johnston sermons consist of four handwritten sermons from 1892-1897. Arthur Gray Jones (1868-1929) was pastor at the First Presbyterian Church of San Antonio, TX from 1895-1921 and Professor of Systematic Theology at Austin Presbyterian Theological Seminary from 1921-1927. This collection consists of correspondence, sermons, printed material, photographs, and other material documenting the career and personal life of Jones. It is divided into eight series: Correspondence, First Presbyterian Church of San Antonio, Creative Works, Presbyterian Education, Committee Work, War Effort (WWI), Personal, and Photographs. Arthur Gray Jones (1868-1929) was pastor at the First Presbyterian Church of San Antonio, TX from 1895-1921 and Professor of Systematic Theology at Austin Presbyterian Theological Seminary from 1921-1927. These are six bound volumes of sermons and addresses and a one volume index with handwritten notes, some notes written after Jones’ death in 1929. Robert Franklin Jones served as pastor in churches in Georgetown, Coleman, and Harlingen, Texas before being called as pastor of the First Presbyterian Church, Fort Worth on September 9, 1944, where he served until his retirement in 1979. This collection includes correspondence, creative works, and printed material documenting the ministry and aspects of the personal life of Rev. Jones. The papers are arranged into five series, the bulk of the material representing the last two decades of Jones’ career. William Francis Junkin (1870-1947), Presbyterian pastor and missionary, attended Austin College and received both a Bachelor of Arts (1892) and Doctorate of Divinity (1904). From 1893-1896, he attended Louisville Presbyterian Theological Seminary in Kentucky, where he obtained a Bachelor of Divinity. He was ordained in 1896 by the Arkansas Presbytery and became a foreign missionary to China (1896-1943). After leaving China, he served as a stated supply in Virginia until his death on May 27, 1947. This collection consists of two documents. The first is a letter written in 1895 to Samuel Mills Tenney, another Presbyterian pastor serving in Texas. The second is a printed holiday card from Junkin and his wife (1936) with an attached Chinese coin. Leland McDuffie Kennedy (1917-1991) was a Presbyterian minister from Spartanburg, South Carolina. This collection primarily consists of pastoral records from Highland Park Presbyterian Church (Dallas, Texas) and Fain Memorial Presbyterian Church (Wichita Falls, Texas). The records include registers of marriages and funerals performed by Rev. Kennedy. Also included are materials documenting the fiftieth anniversary of the Highland Park Presbyterian Church, and a small amount of sermons and printed material. Charles Leonidas King (1892-1982) was a Presbyterian minister and educator in Virginia and Texas. His primary post was pastor at First Presbyterian Church of Houston (1932-1961). King served as chairman of the board of trustees of Austin Presbyterian Theological Seminary from 1951-1960, and in September 1961 he started a three-year term as visiting professor of homiletics at Austin Seminary. In addition to his work as a pastor and educator, King was actively involved with the governance of the Presbyterian Church, U.S. In 1944, he was elected moderator of the General Assembly. He also served as moderator of the Synod of Texas and of the Presbytery of Brazos. This collection includes creative works, printed material, correspondence, artifacts, and audio/visual materials documenting the career of King. The collection is divided into nine series. The bulk of the collection consists of the Sermons, Lectures, and Related Material series; this series is comprised of typed and handwritten sermons and lectures, notes, clippings, and other material utilized for sermons and talks given at the churches King served and elsewhere. Samuel Alexander King (1834-1918) was a minister and professor of theology in Texas. He received the degree of Doctor of Laws from Austin College in 1885. The degree of Doctor of Divinity was conferred on him by Baylor University and by Southwestern Presbyterian University. After his ordination, King traveled extensively throughout Central and East Texas as a circuit minister. By 1863 he was preaching at the First Presbyterian Church of Waco once a month and became the Church's full-time minister in 1882. While pastor of the First Presbyterian Church of Waco, King served the Presbyterian Church in the United States (PCUS) in various capacities. In 1902 King accepted the position of professor of Systematic Theology at the Austin Presbyterian Theological Seminary in Austin, Texas. King retired from the Seminary in 1914 at age 80. He remained in Austin until his death in September of 1918. The papers of Samuel Alexander King document portions of King's career as a minister, professor, and scholar serving the Presbyterian Church in the United States (PCUS) in Texas. Though many of the sermons and sermon materials are from the early years of King's ministerial work, the remaining papers predominately document the work of his later years, 1890-1909. The few documents which are related to King's life outside of his career provide limited insight into his personal life. The papers are arranged into two sub-groups: professional activities and personal activities. William Montgomery King (1796-1882) was a Presbyterian teacher and pastor in Mississippi, Tennessee, Kentucky, and Texas. He was born in Elbert County, Georgia on October 6, 1796, and studied theology privately at the Academy of Reverend Gideon Blackburn in Franklin, Tennessee. When ordained, he became a home missionary to Mississippi and Tennessee. Following this, he was a teacher and stated supply in Middleton, Kentucky. He organized Macedonia church in Woodford County, Kentucky and served as stated supply there; he fell ill for several years, but returned to this church until he moved to Texas in 1851. He served as a pastor and teacher in Texas until 1867. He fell ill while residing in Waco and died there in 1882. This collection consists of of five handwritten sermons (ca. 1857). Extent: one foot, three inches manuscript material, one photo album and one scrapbook. Cecil H. Lang (1891-1974) was ordained to the ministry in the Presbyterian Church in 1916, and served as a US Army Chaplain during the world wars and as a pastor at several churches throughout the South. The collection consists of correspondence, reports, memorandums, creative works, published material, certificates, photographs, pastor’s records and army orders, one photo album and one scrapbook documenting the ministerial career of Cecil H. Lang, primarily as a US Army Chaplain during World War I and World War II. The material is arranged in two series: US Army Chaplain Papers (1917-1947) and Pastoral Papers (1917-1969). John Douglass Leslie (1860-1935), Presbyterian minister and author, attended Union Theological Seminary in Richmond, Virginia and was ordained a pastor on September 13, 1883. He served at Atoka, Tennessee (1883-1886), moved to Water Valley, Mississippi (1886-1894), and then to Texas, serving as pastor in Weatherford (1894-1898), Paris (1898-1903), Temple (1903-1904), Ballinger (1904-1911), and Cisco (1911-1921). Later, he served in the Synod of Texas and the General Assembly. The John Douglass Leslie Papers are comprised of sermons, addresses, registers and an index relating to his sermons and ministerial work, as well as a typed manuscript on the history of the Presbyterian Church. The material is arranged in two series: Sermons and Addresses (1886-1927) and Creative Works (circa 1935). Language: Materials are written in English, with a small amount in Spanish. Two inches of interview transcripts, a cassette tape and a filmstrip (1981-1982) represent working files and the end result of the “A Living Heritage” filmstrip project conducted by the Mexican-American Coordinating Council in 1981 and 1982. The collection is comprised almost entirely of alphabetically arranged interview transcripts with leaders, pastors, and the adult children of leaders and pastors from the Texas-Mexican Presbytery, which was dissolved in 1955. The interviews, upon which the “A Living Heritage” filmstrip was based, discuss among other topics the tensions between newly converted Mexican-American Presbyterians and their Roman Catholic families, the founding and the subsequent financial difficulties of churches in the Texas-Mexican Presbytery, and the unpleasant feelings surrounding the dissolution of that presbytery. Walter Ewing Long (1886-1973) was a prominent Austin, Texas businessman and civic leader. He served as the President of Presbyterian Work at the University of Texas from 1912-1913, and was very involved with the University Presbyterian Church in Austin. This collection consists of fifteen glass lantern slides, apparently from a slide show about the life of W. E. Long. Possibly created by the University Presbyterian Church. Slides measure 4” X 3.125”. These buttons were originally collected by John Marse (1914-2004), a Presbyterian minister in Texas. He earned his Bachelor of Divinity degree from Austin Seminary in 1941. These three buttons were purchased by John Marse at an Austin antique store. Button one readds "Texas Presbyterian University, chartered Feb. 19, 1896;" button two reads: "General Assembly, Presbyterian Church, U.S.A., 129th Annual Meeting, Dallas, Texas, 1917;" and button three reads: "Texas Sunday School Association, Vision-Vigor-Victory." This scrapbook contains clippings documenting Presbyterian and Protestant churches, seminaries, colleges, and history, both in the United States and abroad. The handwritten title of the scrapbook is “Book of Churches, Presbyterian seminaries and colleges.” Most clippings feature photographs of the church buildings, and some also include information on the pastor of the church. Nothing conclusive is known about Wallace H. Mather, the owner of this journal. This collection consists of a handwritten journal containing essays, often on religious topics. The book is inscribed “property of Wallace H. Mather” and also has the name “C.H. Voorhis” on the cover page. Language: Materials are written in English. A small amount of material is in Portuguese. Glenn Maxwell (1905-1979), a Presbyterian minister, missionary, and seminary professor, was born January 21, 1905 in Illinois. Maxwell was licensed and ordained in 1935 after earning bachelor’s degrees of art and divinity at Western Kentucky Teacher’s College and Louisville Presbyterian Theological Seminary, respectively. From 1938-1940 Maxwell served as a missionary in Brazil. Two and a half inches of correspondence, grade reports, printed material and seminary application material (1932-1958) documents the work of Glenn Maxwell in the Presbyterian Church, particularly as a professor at Louisville Presbyterian Theological Seminary. Robert McCoy (1811-187? ), Presbyterian pastor and teacher, was a member of Memphis Presbytery in Lafayette, Georgia in 1863. He moved to Texas in 1871 and served as stated supply in Lavernia. He served as a domestic missionary in Grapeland, Texas from 1877-1878 and died either in 1878 or 1879. The Robert McCoy letters consist of three typed letters written to McCoy’s cousin, Alexander English, who resided in Talladega County, Alabama (1838-1846). William Harrison McCullough (1853-1925) was a Presbyterian pastor in Texas. He served as stated supply throughout Texas: Wills Point and Forney (1886-1887); Pittsburg, Mt. Pleasant, and Winnsboro (1888-1889); Clarksville, Detroit, and Blossom (1889-1890); Anson group (1890-1895); New Boston group (1895-1902); Eliasville and group (1902-1908); Olney (1909-1910); and Throckmorton and group (1911-1917). He was ill in Eliasville from 1918 until his death on August 22, 1925. The William Harrison McCullough letter documents the events surrounding his removal from the Red Lick, Texas Presbyterian church in 1899. A. H. (Andrew Howlet) Porter McCurdy (1854-1928) was a pastor of the Presbyterian Church in the U. S., Synod of Texas, from 1880 through 1927. He was a corresponding editor, from the Presbytery of Western Texas, for the Texas Presbyterian (Houston, Tex.) from 1892 through at least 1895, and possibly thereafter. He was the moderator for the Synod of Texas in 1898 and he was a member of the committee which nominated the first Directors and Trustees for the Austin Presbyterian Theological Seminary at its inception. This manuscript, titled “Personal Holiness,” is a theological discourse, instructional and moral, possibly intended for publication. Neill McDonald (1812-1875) was a Presbyterian pastor in North Carolina and Texas. He attended Donaldson Academy in Fayetteville, North Carolina as well as Union Theological Seminary of Virginia in Richmond (1841-1844). He was ordained on November 14, 1846 and he served as stated supply for many churches in North Carolina. He moved to Texas in 1868 and served as stated supply at Lancaster (1868-1872) and Unity and North Bosque churches (1872-1874). He died in Turnersville, Texas on February 3, 1875. This letter documents McDonald’s move to Lancaster, Texas in 1868. Sam Brooks McLane (1891-1968) was a Presbyterian educator and administrator in Texas who devoted most of his life’s work to the Texas-Mexican Industrial Institute (now the Presbyterian Pan-American School). This collection consists of two inches of typescript addresses, creative works, correspondence, printed material, and photographs documenting Sam Brooks McLane’s tenure as president of the Texas-Mexican Industrial Institute. Eugene William McLaurin (1888-1978) was a Presbyterian minister and educator in Texas. McLaurin grew up and attended college in Mississippi before coming to Texas to further his studies at Austin Presbyterian Theological Seminary and the University of Texas. McLaurin was superintendent of home missions in the Brazos Presbytery from 1936-1938, and a much-respected professor of Greek language at Austin Presbyterian Theological Seminary from 1938-1958. This collection consists of two volumes of bound legal documentation, reports, pamphlets and correspondence (1941-1949) that document the involvement of McLaurin in the court case King et al. v Richardson et al., and with the Ad Interim Committee on Changes in Confession of Faith and Catechisms, as well as unbound letters and typed memos regarding lay missions in Texas (1950). William Angus McLeod (1876-1947) was a Presbyterian minister, historian, and professor. After serving in a few churches in Texas including the First Southern Presbyterian Church in Austin, Texas, teaching Systematic Theology at Austin Presbyterian Theological Seminary from 1914-1918, and serving in the war effort as the secretary of the YMCA overseas from 1918-1919, McLeod began a 28-year pastorate at the First Presbyterian Church of Cuero, Texas, where he served until his death in 1947. The material is arranged in six series: Historical Research and Writings (1926-1946), Class and Lecture Material (1914-1918), Pastoral (1900-1939), Personal (1918-1919), Photographs (1903-1924), and Printed Material (1916-1918, undated). Thaddeus McRae (1831-1882) was a Presbyterian pastor in Mississippi, Alabama, Louisiana and Texas. He moved to Port Lavaca in 1861 and fought against church member’s desire for Texas’ secession and the division of Presbyterianism into northern and southern sects. McRae traveled to New Orleans and joined the Union Army and served as chaplain of a black regiment. In 1866, he returned to Texas and became head of the majority faction of Unionists of the Austin Presbyterian Church. In 1868, he organized the Presbytery of Austin. He was elected chaplain of the Constitutional Convention of 1866 and served as private secretary to Governor Elisha Pease. McRae served as clerk of the committee on lawlessness for the Constitutional Convention of 1868-1869. This collection consists of of a letter, memo, and autobiography. The letter documents the difficulties McRae faced in Port Lavaca (1866). The memo (1929) describes the source of the autobiography and that it was transcribed from an original copy. The autobiography (1880) details McRae’s life. Charles Edwin McStravick (1861-1941), a Presbyterian pastor, was born in Illinois in 1861. McStravick studied at Monmouth College in Illinois and Xenia Theological Seminary in Ohio from 1895-1900. After his ordination in 1900, McStravick served at churches throughout the United States, primarily in Ohio, Illinois and Texas until his retirement in 1941. McStravick worked with the Home Missions Board, establishing in 1911 several United Presbyterian Churches in San Antonio, TX. Two feet of sermon outlines, lectures, and correspondence, and ten volumes of seminary notebooks (1898-1941) document the pastoral career of Charles Edwin McStravick. The collection is arranged in three series: Sermon Outlines, 1898-1941; General, 1898-1917; Seminary Notebooks, undated. William Ramseur Minter (1873-1943) was a Presbyterian pastor in the Carolinas and Texas. After serving in churches throughout the Carolinas, Minter accepted a call to the First Southern Presbyterian Church in Austin, Texas in 1917, where the much-loved minister had a long and illustrious career. Minter retired to a small congregation in Palestine, Texas near the end of his life, and died in 1943. The collection contains four inches and one volume of correspondence, pastoral calls, sermons and printed material (1896-1942) documenting the ministerial career of William Minter. Mission Ranch was established through the Women of the Church, a subsidiary group under the Presbyterian Church in the United States (PCUS)through the 1953 Birthday Offering, an annual collection to support mission activity. The purpose of Mission Ranch was to provide comfortable housing in Austin, Texas for missionaries on furlough. The collection consists of meeting materials, administrative reports, correspondence, and financial records documenting the work of the Mission Ranch Board of Trustees and the missionaries who sought occupancy and lived in the apartments. Rev. James Wilson Moore (1797-1873) was the first Presbyterian minister to preach and settle in Arkansas and is known as the father of Presbyterianism in Arkansas. After studying at the Theological Seminary at Princeton, he was licensed to preach in 1827 by Northumberland Presbytery in Milton, Pennsylvania and then ordained as a missionary to Arkansas. In January of 1828 he preached the first Presbyterian sermon in Little Rock, which was then in the Territory of Arkansas. Moore married Elizabeth G. Green of New Jersey in 1830, and in 1840 the family settled in a country home Moore named “Ruralia,” about thirty miles east of Little Rock. There Moore established a school for boys called Sylvania Academy where he taught for the next 25 years. This collection consists of seven letters, primarily to or from James Wilson Moore and his son Charles Beatty Moore. Hillery Moseley (1830-1883) was a Presbyterian minister, primarily in Texas. Moseley served as president of Silliman College in Louisiana and Woodland College in Texas. The collection is comprised of two handwritten sermons (1856, 1858). The subject of the first sermon, labeled “Jackson Feb. 17th, 1856,” is Jeremiah 17:9. The second sermon, labeled “Cedar Lake—Sept. 8th 1858,” covers Acts 26:28. Dr. Berta Murray (1897-1999) was the President of the Presbyterian School for Mexican Girls in Taft, Texas (a predecessor school to Presbyterian Pan American School in Kingsville, Texas). Ms. Rodriguez of San Antonio was one of Dr. Murray’s students. This collection consists of photocopies of correspondence and related material between Dr. Berta Murray and Luisa C. Rodriguez from 1942-1999. Betty Murray, her husband, Rev. Glenn Murray, and their children Betty Lou, Marcia and Kenneth served as Presbyterian Missionaries in the Belgian Congo (later known as Zaire, and now the Democratic Republic of the Congo) from 1939 to 1970 and 1974-1975. They held multiple posts including work in Bulepe, Luluabourg, Kinshasa, and Mbuji Mai. The family frequently wrote letters home describing their experiences. This collection contains correspondence and printed material documenting their work. Most letters are written by Betty Murray, although some letters are written by Glenn, Marcia Murray, and other missionaries. All materials in the collection are photocopies of the original documents. Michael Fielding Murray (1936- ) is a Presbyterian minister and consultant in Texas. He graduated from Austin Seminary in 1961. This collection consists of seven inches of class notes and printed material accumulated during Murray’s coursework while pursuing his Bachelor of Divinity at Austin Seminary. Additional material includes worship bulletins and resource material used during Murray’s term as pastor of First Presbyterian Church in Mercedes, TX from 1961-1965. Carl Ellis Nelson (1916- ) is a leader in Christian education with particular focus on religious education’s role in the socialization and moral education of young people. He has held numerous ministerial, educational, and administrative positions in the Presbyterian Church. This collection consists of 163 inches of correspondence, photographs, scrapbooks, printed materials, sermons, minutes and reports (1907-2011) arranged in two groups to document Carl Ellis Nelson and Nancy Gribble Nelson’s personal and professional lives. Samuel Orr (1823-1882) was born in Jackson County, Georgia, August 12, 1823. He graduated from Oglethorpe University (1851) and Cumberland Theological Seminary, Lebanon, Tennessee (1854). From 1854 to 1858, Orr served as both domestic missionary and stated supply for the Presbytery of Cherokee and preached at several locations in Alabama. Around 1858, he moved to Arkansas where he served as one of the earliest Presbyterian preachers in the state. In 1869 he became the first full time minister and teacher at Carolina Presbyterian Church and Academy in Dobyville, Arkansas, where he stayed until his death. This collection consists of 225 handwritten sermons written and preached by Samuel Orr, mostly in the area of Clark County, Arkansas, and spanning the years 1855-1858, 1864-1869, and 1870-1882. Edward Bland Paisley (1890-1968), a Presbyterian pastor and educator, studied at Arkansas College, Austin Presbyterian Theological Seminary, University of Texas, and Yale. Paisley was the Educational Secretary of the Executive Committee on Home Missions and a professor and later president of the Assembly’s Training School for Lay Workers among several other positions. In 1957 Paisley returned to Austin Presbyterian Theological Seminary for one year as a Visiting Professor of Christian Education. This collection contains one and a half inches of essays and class work, collected Presbyterian pamphlets, and one Bible that record Edward Bland Paisley’s years as a student at Austin Presbyterian Theological Seminary and reflect his continued respect for the institution. The materials are divided in three series: Austin Presbyterian Theological Seminary Coursework, 1914-1916; Austin Presbyterian Theological Seminary Memories, 1955; and Presbiteriana, 1928-1936. Benjamin Morgan Palmer (1818-1902) was a Presbyterian minister and theologian who served the First Presbyterian Church of New Orleans from 1856-1902 and was the first moderator of the Presbyterian Church in the Confederate States of America (1861) and of the Synod of Louisiana (1901). From 1843 to 1855 he served the First Presbyterian Church of Columbia South Carolina. This collection contains one handwritten sermon by Benjamin Morgan Palmer, preached in Columbia, South Carolina, November 12, 1848. Robert S. Paul was born in Surrey, England on June 10, 1918 and died on June 27, 1992. After coming to America in 1958, Paul embarked on a long career as a professor of theological studies, teaching first at the Hartford Seminary Foundation (1958-1967), later at Pittsburgh Theological Seminary (1967-1977), and finally at Austin Presbyterian Theological Seminary (1977-1987). The collection is broken up into six series: Creative Works, Research, Correspondence, Class Materials, Minutes of the Session of the Assembly of Divines, and Audio Materials. Claude Derry Peake (1884-1965) was an Austin Seminary alumnus and a Presbyterian pastor in Texas. He was licensed and ordained in 1923 and became the stated supply for Burnet, Texas (1923-1925). He served as pastor at Hyde Park Presbyterian Church in Austin (1925-1926) and in Mission, Texas (1927-1934). Peake became a stated supply again and served Bartlett (1934-1938) and Seagraves (1938-1942). He became pastor for Westminster Church in El Paso (1942-1947). He also acted as the stated clerk for the El Paso Presbytery from 1942-1947. These record books document Peake’s service as a pastor in Texas. There are separate books for marriage records, baptismal records, and of new members joining the church. There is an additional book which contains all of these types of records in addition to membership rosters for the churches Peake served. Daniel Allen Penick (1869-1964) taught at at the University of Texas and the Austin Presbyterian Theological Seminary in the 1920s and 1930s. He served as the chairman of the Committee on Schools and Colleges of the Synod of Texas, the Synod’s Stewardship Committee, and the Committee on Home Missions. Penick also served as the Vice-Chairman of the Texas Presbyterian Educational Movement of 1923-1924. The collection is arranged into the following series: I. Executive Committee of Schools and Colleges, II. Texas Presbyterian Educational Movement, III. Committee on Budgets and Audits, IV. Relocation of Texas Presbyterian College, V. University Presbyterian Church, VI. Stewardship Committee, VII. Committee on Home Missions, VIII. University of Texas/Southwest Conference, and IX. General. Wilford Ray Penny (1915- ) is an alumnus of Austin Presbyterian Theological Seminary, a former Presbyterian pastor in Texas, and a retired Certified Public Accountant with a long career in California. This collection consists of Wilford R. Penny’s Bible used while he was a student at Austin Seminary from 1937-1940. The Bible is heavily annotated by Penny with Dr. Thomas White Currie’s teaching outlines for each book. Also includes pasted-in pages of typed notes. This newsletter contains sayings and original poems and messages on a single sheet. It was written, produced and distributed by Barbara Triggs, a Master of Divinity student at Austin Presbyterian Theological Seminary from 1993-1996. Triggs is an ordained minister in the Presbyterian Church (U.S.A). Rev. Henry Barrington (H. B.) Pratt (1832-1912) was a Presbyterian minister and missionary in Columbia, Cuba, Mexico, North Carolina, South Carolina, and Texas. Rev. Pratt is known for writing and translating several major theological works into Spanish, including La Versión Moderna, a Spanish language Bible authorized by the American Bible Society, and for training Mexican-American ministers in Texas to serve the Spanish-speaking churches. The collection consists of biographical material relating to Rev. H. B. Pratt and his wife, Joanna Gildersleeve Pratt, two of Rev. Pratt's sermon notebooks, his annotated Greek lexicon, and a published book written by Pratt. Also included are biographical sketches of three Mexican-American ministers trained by Rev. Pratt in Laredo, Texas. The material in accession 1996-010 was collected by Rev. Stonewall Jackson McMurry, a Presbyterian minister in Texas and a colleague and friend of Rev. H. B. Pratt. The material in accession 2008-004 was donated by Pratt's great-granddaughter. In 1903 the Synod of Texas appointed a committee to establish a Presbyterian orphanage and in 1906 the Southwestern Presbyterian Home and School for Orphans opened in Files Valley near Itasca, Texas. In 1953 the Synod established the Presbyterian Child Placement Agency in Dallas to assist in providing temporary foster care and securing permanent adoptive homes for children. The Presbyterian Children’s Home and Service Agency was formed in 1955 with the merger of these two organizations, and it maintained the home and school in Itasca and placement offices in Dallas. This collection consists of correspondence, minutes, reports and printed material collected by Daniel Schoenbacher during his services on the Board of Trustees for the Presbyterian Children’s Home and Service agency from 1959-1963. The Presbyterian Historical Society of the Southwest, founded in 1978, studies and documents the history of the Presbyterian Church in Texas, Oklahoma, Arkansas, and Louisiana. The Society's documents in the Austin Seminary Archives are largely the collections executive secretaries Thomas White Currie, Jr., John R. "Pete" Hendrick, and James S. Currie. The collection is divided into the following series: Church histories and related material, Biographies, Organizational files, Heritage columns, PHSSW Publications, Research files, and photographic and audio/visual material. The Presbyterian Latin-American Auxiliary was founded in 1904 in Dallas, TX, under the name “Ladies’ Auxiliary Union.” Though the name changed several times in the organization’s 100 years of operation, the over-arching mission remained the same: to provide spiritual, social and financial ministry to the Hispanic community in the Dallas area. The organization, which officially became the Presbyterian Latin-American Auxiliary in 1960, was head-quartered in the Mexican Presbyterian Church (later El Divino Salvador) in Dallas, and meetings were held here until the organization went into dormancy in 2005. This collection contains minutes, reports, agendas, fliers, printed material, correspondence, newspaper clippings, ephemera, photographs, and one artifact recording the history, activities, re-organization and eventual dormancy of the Presbyterian Latin-American Auxiliary. Presbyterian Parents of Gays and Lesbians (PPG&L) was founded in Dallas in 1994 with the purpose of providing support and community for the parents of gay sons and daughters through the formation of support groups and developing ties between parents of gay and lesbian-identified children. In February 2007, due to the changing times and greater availability of support for parents of gay and lesbian-identified children, PPG&L ceased operations and dissolved its corporate entity. The collection includes materials produced or acquired by the administrators of the PPG&L from 1994 to 2007, with articles and printouts from earlier dates. The Presbyterian photographs collection is an artificial collection of Presbyterian-related photographs donated at various times throughout the Seminary’s history and organized initially by the first archivist at the Seminary. Photographs primarily document the early 20th century history of the Presbyterian Church, primarily in Texas and the southwest. The collection includes photographs donated by individuals as well as those transferred from the Stitt Library or different offices in the Seminary. This is an artificial collection of publications relating to Presbyterians and the Presbyterian Church, with an emphasis on Presbyterianism in Texas and the Southwest. The collection includes commercially published works, privately published works, and manuscripts. The Presbytery of Central Texas was organized on April 10, 1854 in Huntsville, Texas. The territory had previously been part of the Brazos Presbytery. The Presbytery was reorganized on December 31, 1957. In 1972, the Presbytery became part of the Presbytery of the Covenant. The majority of this material was gathered by the Ad Interim Committee on the Centennial in observance of the 100th anniversary of the Presbytery of Central Texas, celebrated on April 10, 1954. Malcolm Lee Purcell (1893-1978) was a Presbyterian pastor in Texas. Starting in 1932, Purcell served as Secretary of East Texas (later Brazos) Presbytery and the Synod of Texas, Moderator of the Synod of Texas, Superintendent of Home Missions of the Brazos Presbytery and Executive Secretary of South Texas Presbytery until 1966, when he returned to ministerial work. From 1966 until he retired honorably in 1971, Purcell was an assistant pastor at First Southern Church in Austin, Texas. This collection consists of two account books (1918-1977) that give insight regarding the tenure of Purcell as the Superintendent of Home Missions and Treasurer of the Brazos Presbytery and a typescript for a text entitled Reminiscences: Home Missions and Evangelism in Brazos Presbytery 1929-1963 (1975). James Gettys McCampbell Ramsey (1886-1962) was a Presbyterian minister in Texas. He attended Austin College in Sherman, Texas from 1906-1909. After graduating, he attended Austin Presbyterian Theological Seminary from 1909-1912, receiving a Bachelor of Divinity degree. He was ordained April 18, 1912 and served as pastor throughout Texas: Trinity (1912-1915); Brownsville (1915-1917); Karnes City, Kenedy, and Helena (1917-1920); Commerce (1920-1927); Ennis (1927-1935); Karnes City and Kenedy (1935-1939); Palacios (1939-1943); Forth Worth (1943-1948); Robstown (1948-1951); Lubbock (1951-1953); Barstow and Van Horn (1953-1957); and Crane (1957-1959). Ramsey retired in 1959 and died September 22, 1962. This collection is comprised of twelve of James Gettys McCampbell Ramsey’s pastoral record books that document his tenure as pastor at churches across Texas (1912-1959). Rizpah Clark Bowers Red was born on October 9, 1865. She graduated from the University of Texas in 1884 and was married to William Stuart Red (1857-1933), a Presbyterian minister and historian, in 1896. The Red’s served in several Texas cities, but lived in Austin after 1919. After her husband’s death in 1933, Mrs. Red completed and published his book A History of the Presbyterian Church in Texas (1936), with the help of their nephew. This collection consists of two historical sketches, one on Austin Presbyterian Theological Seminary and one on Daniel Baker College. They appear to have been prepared to give as speeches sometime in the early 1920s. William Stuart Red (1857-1933), a Presbyterian minister, author, and historian, was born in 1857 in Texas to parents who were among the first Presbyterians in the Republic of Texas. Red studied at Austin College, Princeton Theological Seminary, Austin School of Theology, and abroad in Germany and Scotland. Red served many churches in Texas, was chaplain of Texas A&M from 1892-1894, editor of the Texas Presbyterian from 1894 to 1897, and moderator of the Synod of Texas in 1902. This collection of research files is comprised of correspondence, typewritten transcripts of newspaper articles, minutes, published material, drafts, record books, and handwritten notes (1847-1933), used in the completion of Red’s A History of the Presbyterian Church in Texas, and reveal Red’s research methods and processes. Dewitt Carter Reddick (1904-1980) was the primary teacher of the Sunday school Century Class at the University Presbyterian Church in Austin from 1937-1951. Additionally, he was a professor of journalism in the University of Texas at Austin’s College of Communication, and served as dean of that college from 1967-1969. Creative works, printed material, and correspondence, 1925-1986 (12.5 inches), document the work of Dewitt Carter Reddick as the teacher of the Century Class Sunday School program at the University Presbyterian Church (UPC), as a speaker to other religious and educational institutions, and as a journalism professor at The University of Texas at Austin. The bulk of the collection (11 inches, 1937-1963, undated) is comprised of the Religious Teaching Material created and used by Reddick for instruction of the UPC’s Century Class. John McE Robinson (1833-1910) was a Presbyterian pastor and teacher in South Carolina and Texas. This collection consists of two notebooks (c. 1860-1899) which contain theological essays, accounts, and general notations made by Robinson. The first notebook contains primarily theological essays. The second notebook contains various entries including essays, arithmetic, accounts, and notations. Several of the pages of accounts near the end of the volume are in the name J.D. Robinson, and therefore may reflect the finances of Robinson’s son John D. Robinson. Henry Bates Rose (1825-1905) was a Presbyterian minister in Virginia, West Virginia and Texas. He studied theology at Union Theological Seminary in Virginia and earned his degree in 1854. In 1874 Rose moved his family to Williamson County, Texas and served churches in Burnet, Pleasant Hill, and Leander. In 1893 he was called to serve at Highland Church in Austin, Texas (now University Presbyterian Church), where he served until 1897. From 1897 until his death in 1905 he preached occasionally at East Austin Presbyterian Church. This notebook contains lecture notes taken by Henry Bates Rose at Union Theological Seminary during lectures in theology by Rev. Samuel B. Wilson, D.D. beginning in August 1852. Oliver Keith (O.K.) Rumbel (1896-1977) was an internationally renowned numismatist whose vast collection of church communion tokens stands in testimony to the examination and endurance of the faith of the Presbyterian and Reformed church. Rumbel’s wife, Margaret H. Rumbel (1915-1999) shared in his passion and the two often traveled together to view and acquire tokens. Communion tokens, beggar’s badges, photographs, photocopies and publications are arranged in six series documenting the history and use of communion tokens by Presbyterian congregations in general and the Oliver Keith and Margaret Rumbel collection specifically. Language: Materials are written in English and Greek. Thornton Rogers Sampson was Professor of Church History and Polity at Austin Presbyterian Theological Seminary, 1902 to 1915, and first President of the Seminary from 1900 to 1905. He was a Presbyterian Church in the U.S. missionary in Greece from 1878 through 1892. In 1879 in Athens, Greece, Sampson inscribed the front flyleaf of this book with his signature. The Bible has underlined text and marginal notations, concentrated in the Gospel of John, and an outline at the end of the book, all of which were probably the work of Sampson. Walter S. Scott (1865-1937) was a Presbyterian pastor and home missionary in Texas. He was born in Monterrey, Mexico on August 6, 1865. He attended Austin School of Theology (now Austin Presbyterian Theological Seminary) from 1891-1892 and was licensed and ordained in 1892. Scott served as an evangelist to the Mexican population in San Marcos (1892-1904), San Antonio (1905-1912), Laredo (1913), Taylor (1914-1920), and Waco (1921-1937). He died on December 7, 1937. This collection is comprised of a typescript that documents Walter S. Scott’s work as a missionary to the Mexican population throughout Texas from 1887-1905 as well as the importance of this work for Presbyterians. The minutes record the meeting of the Conference on Unification of the Mexican Work of the Synod of Texas in Austin on December 14, 1920, at which Scott was present. Rev. G. Christopher Scruggs was an Elder at First Presbyterian Church of Houston, Texas and Chair of the Stewardship Committee. This collection contains the personal papers of Christopher Scruggs documenting the controversy over Article 13 as it played out at First Presbyterian Church in Houston, Texas from 1989-1991, as well as some general material relating to the church and some personal correspondence. Restricted until 2041 or with permission of creator. James Mason Sedgwick (1876-1926), a Presbyterian Minister, was born in Texas in 1876. Sedgwick studied Theology at Austin College and Union Theological Seminary from 1899 until 1902, when he was licensed and ordained. Sedgwick was active in the ministry and church leadership, serving at several churches throughout the South in addition to serving as stated clerk of the Abingdon Presbytery, Appalachia Synod, and Fort Worth Presbytery. The collection includes sermons and sermon material, printed material, handwritten notes, minutes, correspondence, and a scrapbook (1900-1925) document the ministerial career, and in particular the preaching style, of James Mason Sedgwick. Walter Evander Shive (1856-1941) was a Presbyterian pastor, missionary, and teacher. He was born in Greensboro, North Carolina on February 9, 1856 and attended Davidson College and Union Theological Seminary in Richmond, Virginia. He was ordained in 1884 and became a home missionary and teacher in Texas, Florida, Mississippi, Tennessee, Oklahoma, and Louisiana until 1905. He was the Texas representative for the Christian Observer from 1906-1919. His son, Alexander Morgan Shive, served in the American Presbyterian Congo Mission from 1920 to 1960. Rev. Shive died on October 25, 1941 in Los Angeles, California. The Walter Evander Shive autobiographical statement documents his involvement with the Presbyterian church throughout his life. Jesse Weimar Siler (1863-1912) was a Presbyterian minister who served congregations in North Carolina, Texas, and New Mexico. This collection comprises three pastoral record books which contain sermons and records of marriages performed between 1901 and 1909. During this period, Siler worked with congregations in and around Lavernia, Seguin and San Angelo, Texas. Most marriages listed were performed in San Angelo, Texas. Joseph Henry Skinner (1855-1894), Presbyterian pastor, was ordained in 1882 by the Paris Presbytery and became pastor at First Presbyterian Church in Paris, Texas from 1882-1892. In addition to serving as pastor, he was the stated clerk for the Paris Presbytery from 1886-1891. He moved to Alabama and served as pastor in Talladega from 1892-1894. He was granted an honorary Doctorate of Divinity from Austin College a few days before his death on July 5, 1894. This collection consists of two letters received by Skinner in 1891 and two sketches of his life written after his death. James Allen Smith (1928-1993) was a Presbyterian minister in Texas and Arkansas. He earned his Master’s of Divinity from Austin Presbyterian Theological Seminary in 1952 and his Doctor of Ministry from the same institution in 1988. In 1975 he became the pastor at the Second Presbyterian Church of Little Rock, Arkansas, where he served until his death in 1992. This collection consists of first, second and, in some cases, third drafts of sermons as edited for the book A Sovereignty of Grace: A Collection of Sermons by J. Allen Smith. These sermons were all originally preached by Smith at the Second Presbyterian Church of Little Rock, Arkansas. The sermons were transcribed and edited by Victor A. Fleming from original recordings of the sermons as given by Smith. The Southwest Area Theological Library Association (SWATLA) was organized in 1987 by Professor Don Davis of the University of Texas at Austin’s Graduate School of Library and Information Science, Genevieve Luna, librarian at the Austin Presbyterian Theological Seminary’s Stitt Library, and Calvin Klemt, director of the Stitt Library, “to promote cooperation and the exchange of ideas among libraries in the Southwestern United States.” This collection contains correspondence, minutes, notes, creative works, financial documents, photographs, printed material, an audio cassette, and a zip disk that document the formation and operation of the Southwest Area Theological Library Association from its creation in 1989 to the present. Earle Glenn Standlee (1895-1988) was a Major General Surgeon in the Army Forces Far East and Eighth U.S. Army. Sadao Watanabe (1913-1996) was a Japanese artist associated with the mingei (folk art) movement, well known for his rendering of the biblical gospel in a Japanese context, and for his use of the Katazome folk craft of dyeing textiles. This collection consists of 81 glass lantern slides, separated into two series: the Sadao Watanabe series, and the Japanese art and artifacts series. The origins of the items are unclear. According to the donor, it’s possible that they were at one point used as teaching tools in China by missionaries. Additionally, Watanabe and Earle Standlee may have been friends with each other, their relationship possibly resulting in Standlee’s interest in collecting the slides. David Leander Stitt (1912-2003) served as president of Austin Presbyterian Theological Seminary from 1945-1971. This collection consists of a scrapbook given to David Stitt by Austin Presbyterian Theological Seminary librarian Norman Dow at Stitt’s retirement in 1971, with photos and scrapbook material documenting events from 1934-1955 and undated events. Photos of interest include the ground breaking ceremony for the seminary library and the midwinter lectures. David Leander Stitt (1912-2003) served as president of Austin Presbyterian Theological Seminary from 1945-1971. Prescott Harrison Williams, Jr. (b. 1924) served APTS both as a professor and as president (1971-1976). Correspondence from the APTS presidencies of Stitt and Williams comprise The David L. Stitt and Prescott H. Williams Jr. Correspondence Collection. In the 1980s, this correspondence was gathered by a student worker from a selection of files under the direction of seminary professor C. Ellis Nelson. Nelson believed some of the material should be retained and had enduring value. This student created a partial index to the collection, which is available upon request. The Stitt Library Found Ephemera collection is composed of items found in books by librarian Helen Kennedy. The items were found as Kennedy was cataloging, withdrawing books, or processing donated materials. Jack Leven Stotts (1932-2008) was a Presbyterian pastor, educator, and administrator in Texas and president of the Austin Presbyterian Theological Seminary. He earned a B.D. from McCormick Theological Seminary in Chicago in 1957, and an M.A. and Ph.D. from Yale University Divinity School in 1965. First ordained as assistant pastor at First Congregational Church, Wallingford, Connecticut, he then moved to the University of Tulsa as chaplain and professor. He became pastor of First United Presbyterian Church in San Angelo, Texas, and then was appointed in 1963 to the McCormick Seminary faculty, where he served as a professor of Christian ethics. He served as dean of the McCormick Seminary from 1974-1975, and as president from 1975-1985. In 1985, he became president of Austin Presbyterian Theological Seminary and served until 1995. This collection consists of sermons, lectures, essays, minutes, agendas, correspondence, drafts, notes, pamphlets, and audio cassettes that shed light on Jack L. Stotts’ career as an ordained Presbyterian minister and as president of the McCormick Theological Seminary and Austin Presbyterian Theological Seminary, and document the work of the Special Committee to Prepare a Brief Statement of the Reformed Faith, of which Stotts served as chair. Thomas Watson Street (1916-1994), born and raised in Alabama, was a Presbyterian pastor and seminary professor in the south in Texas and the south, as well as a devoted scholar of church history and missions. He served as a professor at Austin Presbyterian Theological Seminary from 1947-1961 and is among the APTS professors credited with raising the level of academic expectation and achievement of APTS students. This collection contains two and a half inches of notes, correspondence and writings documenting the career of T. Watson Street during a portion of the latter years of his tenure at Austin Presbyterian Theological Seminary. Stuart Female Seminary opened in Austin, Texas at 1212 East 9th Street in January 1876. The school was founded by Rebecca K. Stuart Red, who served as principal until her death in 1886. At that time, the position of principal was taken over by her daughter, “Miss Lel” Red. Stuart Female Seminary closed in 1899, and the property on which the academic building stood was donated to the Synod of Texas, Presbyterian Church of the U.S. Austin Presbyterian Theological Seminary used the site from 1902 to 1907, when it moved to its current location. The Stuart Seminary collection is an artificial collection that documents both the school and the historical markers in Austin recognizing the school and the Red/Purcell/Hawkins family. Alfred Frederick Swearingen (1920-2004) was a Presbyterian pastor in Texas (notably at Parkway Presbyterian Church in Corpus Christi) and Virginia and was also active with the Synod of Texas. This collection includes Swearingen’s sermons, meeting minutes, financial reports, and other reports relating to the following Synod of Texas committees: United Campus Christian Life Committee, Program Coordinating Committee, Ecclesiastical Relations Program Committee, Leadership Education Program Committee, Committee on Public Relations, Church and Society Program Committee, Witness Program Committee, Conference Program Committee, and the Institutional Coordinating Committee. Grace E. (Mrs. Edgar M.) Swoope resided in Blacksburg, Virginia where she was active in the promotion of Presbyterian educational programs and ministerial relief activities. This collection includes personal correspondence, legal documents, financial documents, printed material, promotional materials, scrapbook materials, and missionary letters. The Synod of Louisiana was founded by the Presbyterian Church in the U.S. (PCUS) in 1901 upon the division of the Synod of Mississippi into two separate synods along state lines. Its headquarters were located in New Orleans, Louisiana, and it was comprised of three presbyteries: Louisiana, New Orleans, and Red River. To facilitate the transfer of property from the Synod of Mississippi, the Synod of Louisiana created The Board of Trustees of Presbyterian Publications at their initial meeting, held at the First Presbyterian Church in New Orleans from November 19-21, 1901. Twelve inches of correspondence, financial and legal documents and committee meeting minutes (1902-1972) record the administrative activities of The Synod of Louisiana’s Board of Trustees for Presbyterian Publications. The Synod of Texas (PCUS) was composed of the Presbyteries of Brazos, Brownwood, Central Texas, Dallas, Eastern Texas, El Paso, Fort Worth, Paris, Texas-Mexican, and Western Texas. It served as a governing body of the Presbyterian Church U. S. (PCUS) in the Texas region from 1850-1972. This is an artificial collection of materials relating to the Synod of Texas that have been collected by the Austin Seminary Archives consisting of minutes, financial records, printed material, scrapbooks, photographs, and other documentation of the work of the Synod. The collection is divided into the following series: Synod Meetings; Committees & Councils; Finances and fundraising; Affiliated Institutions; Synod Publications; Presbytery albums; Photographs; and Artifacts. Frank Mathes Taylor (1906-1975?) was a Presbyterian minister in Texas and Oklahoma. Taylor was moderator of the Synod of Oklahoma in 1951, and was a member of the Grand Chapter of the Royal Arch Masons of Texas. Two and a half inches of chronologically arranged correspondence (1942-1972) documents the ministerial career of Frank Mathes Taylor, particularly during his pastorates at Aransas Pass, TX, Durant, OK, Grapevine, TX, and Mexia, TX. The correspondence is of a routine nature, reflecting Taylor’s day to day work as a pastor and a member of Presbyterian organizations. A small amount of material from 1972 is related to Taylor’s membership in the Grand Chapter of the Royal Arch Masons. Levi Tenney (1823-1907), Presbyterian pastor, was ordained in 1854 and served churches throughout Texas including Carolina church (1854-1859); Blue Ridge church and group (1867-1869); Carolina church and group (1871-1875); Unity and Maysfield (1876); Hugh Wilson church (1881-1886); and Hico, Iredell, and Dublin (1887-1892). In addition to his work as a pastor, he was the editor of the Texas Presbyterian. The materials in this collection primarily relate to an unknown 1907 project collecting information about Texas pastors. Biographical sketches are included for pastors Tenney either knew or researched. The following pastors are described: Robert Hamilton Byers, Peter Hunter Fullinwider, Hugh Wilson, John McCullough, James Weston Miller, Robert Franklin Bunting, Walter Gray Somerville, Joel Titus Case, Stephen F. Cocke, Malcolm C. Conolly, James Wilson, William Kirkpatrick Marshall, Michael Dickson, Daniel McNair, John Russell Hutchinson, H. T. Young, R. M. Sonphridge [? ], A. J. Sonphridge [? ], Hillery Moseley, Neill McDonald, John Addison Smylie, William Carnes Dunlap, J. M. Connelly, J. M. Wilson, Samuel McKinney, Rufus W. Bailey, and John Sharshall Grasty. Several other pastors are briefly mentioned in the letter describing the project. The remaining letters document Tenney’s time at Carolina church in 1858. Extent: Ten feet, nine inches of manuscript material, two feet of photographic material, eight 16mm films, five audio records, two VHS tapes, one DVD, and one artifact. 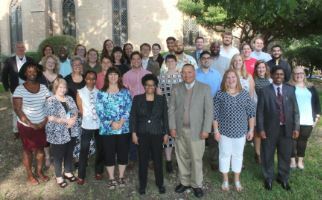 The Texas-Mexican Presbytery was established by the Synod of Texas of the Presbyterian Church, U.S. in 1908, based on the missionary work of Walter S. Scott and Robert D. Campbell. These men organized and aided in the development of Mexican Presbyterian churches and religious education programs in Texas, particularly in the southwest region. These materials relate to the founding, organization, operation, and dissolution of the Texas-Mexican Presbytery of the Synod of Texas, particularly from 1946-1954. The voluminous material is arranged in four sub-groups and twelve series. The sub-groups contain the papers of various leaders of the presbytery, and the series are comprised of material relating more generally to the presbytery, synod and church. This material was originally assembled by Rev. Harold C. Kilpatrick (1902-2002), a lay Presbyterian and head of the San Antonio Council of Churches who was appointed Executive Secretary of the Texas Council of Churches upon its establishment in 1953. This collection consists of correspondence, essays, reports, clippings, and printed material documenting the ecumenical work with migrant populations in Texas. Much of the material is related to the involvement of the Texas Migrant Ministry Committee of the Texas Council of Churches with migrant workers. The Texas Presbyterian Educational Movement (aka the Texas Presbyterian Movement for Christian Education) was a state-wide campaign organized by the Synod of Texas of the Presbyterian Church in the U.S. (PCUS). The campaign was designed to help Presbyterian educational institutions and organizations in Texas financially, and was chaired by Daniel Allen Penick (1869-1964). The campaign ran from June 24, 1923 to July 15, 1924 and was successful in achieving its goal of $1,350,000 in pledges, but failed to collect and distribute the full amount. This collection includes legal documents, correspondence, and a scrapbook documenting the campaign. The Texas United Campus Christian Life Committee (TUCCLC) was founded in 1967 by the South Central Conference of the United Church of Christ, the Christian Church (Disciples of Christ) in Texas (later the Christian Church in the Southwest), and both the Presbyterian Church in the U.S. and the United Presbyterian Church in the U.S.A. Synods of Texas (later united as the Synod of the Sun). The TUCCLC records represent the administrative history of the organization from 1970 to 1991, with a majority of documentation dating from 1984 to 1988. The records detail the work the organization undertook to promote and support ministry programs on college campuses in Texas and New Orleans, both financially and operationally. Jerry Robert Tompkins has been a Presbyterian pastor and administrator in Texas, Louisiana and Arkansas. Tompkins was born in Dallas, Texas on July 4, 1931. He received an undergraduate degree in political science from Austin College in 1951, and then attended Union Theological Seminary in Virginia (1951-1952) before transferring to Austin Presbyterian Theological Seminary (1952-1955). He graduated and was licensed and ordained by the New Orleans Presbytery. He served as pastor at churches in Louisiana, Arkansas, and Texas until 1973 and then became vice president of Austin Presbyterian Theological Seminary. In 1980, he left this position to serve as president of the Presbyterian Children’s Home and Service Agency. In this collection, correspondence, printed material, and handwritten notes document both the professional and academic careers of Jerry Tompkins, including his work as chairman of the Synod of Texas’ council in the early 1970s. This council assisted in the dissolution of the Synod of Texas and the creation of the larger, more geographically varied, Synod of Red River in 1973. Charles Calvin Weaver (1869-1930), Presbyterian pastor, was born in Bellefonte, Pennsylvania on May 10, 1869. He attended Southwestern Presbyterian University in Clarksville, Tennessee and divinity school. He served as an assistant to the pastor of First Presbyterian Church in Jackson, Tennessee before his ordination in 1894. He served as pastor for Denmark, Tennessee (1894-1896); Ripley, Tennessee (1896-1897); Cameron, Texas (1897-1904); Woodlawn Church in Birmingham, Alabama (1904-1906); Marshall, Texas (1906-1914); and Central Church in Oklahoma City, Oklahoma (1914-1919). He became the superintendent of home missions for Brazos Presbytery in Houston, Texas from 1919 until his death on January 31, 1930. This collection consists of handwritten and typed sermons prepared by Weaver. Copies of published sermons and an article discussing home missionary work are also included. Lawrence Hay Wharton (1892-1937), a Presbyterian minister and educator, spent the majority of his short career in Austin, Texas, where he held a pastorate at University Presbyterian Church and taught Homiletics at Austin Presbyterian Theological Seminary. Wharton earned his Bachelor of Divinity degree from APTS in 1914. Wharton’s older brother, Conway T. Wharton, assumed his posts at University Presbyterian Church and APTS upon his death. This collection contains one foot and three inches of sermons and lecture material documenting Lawrence Hay Wharton’s career as a pastor and professor in Austin, Texas. The bulk of the collection is comprised of chronologically arranged sermons preached at University Presbyterian Church. Roughly one inch of material relates to Wharton’s tenure as professor of Homiletics at Austin Presbyterian Theological Seminary. Thomas Ward White (1838-1900) was a Presbyterian pastor and evangelist in the Presbytery of East Texas. White was involved with the American Institute of Civics, and with the American Red Cross in its early years. The collection includes correspondence and invitations from Clara Barton, president of the American Red Cross; correspondence concerning White’s work as an evangelist in East Texas Presbytery; a program from a banquet for Texas governor James S. Hogg; and a photocopy of genealogical records from the White family Bible. Language: Materials are written primarily in English, with some Hebrew and Greek. Prescott Harrison Williams Jr. (b. 1924) is a Presbyterian educator and administrator who has spent most of his career at the Austin Presbyterian Theological Seminary. He became the Assistant Professor of Old Testament Languages and Archaeology in 1959. He held this position until 1962, when he was promoted to associate professor status. In 1965, he was promoted again and became a full professor. In 1966, he was appointed Dean of Faculty, a position he held for 10 years. He served as Acting President from 1971-1972, and was asked to serve as President of the seminary. He held this position from 1972-1976, when he resigned in order to focus on teaching and continued research. Williams continued as Professor of Old Testament Languages and Archaeology until his retirement in 1990. He still holds the position of Professor Emeritus. Throughout his career, Williams served as a visiting professor at the neighboring University of Texas at Austin in several areas including archaeology, classics, biblical studies, and fine art. In addition to teaching, Williams has published many works in his field. He has received numerous honors and awards for his scholarly pursuits. This collection consists of handwritten notes, printed material, correspondence, photographic material, audiovisual material, and an artifact documenting the career of Prescott Harrison Williams Jr. as a professor and administrator primarily at Austin Presbyterian Theological Seminary. The Women of the Church of the Presbyterian Church in the United States (PCUS) was a group within the church, led by women, which performed its work at the level of the General Assembly, the Synod, the Presbytery, the District, and the local congregation. The Women of the Church (PCUS) in the Synod of Texas was established as the Texas Synodical Union on October 21, 1904 with Mrs. J. C. Terrell serving as the first Chairman. The group was known by several different names throughout its history, including: the Synodical Auxiliary of the Synod of Texas, the Woman’s Auxiliary of the Synod of Texas, the Woman’s Synodical of Texas, the Woman’s Synodical Auxiliary of Texas, the Women of the Church of the Synod of Texas, the Texas Synod Women’s Council, and the Texas Synodical Association. The Texas Synodical Association was dissolved on January 1, 1973 and incorporated into the regional Synodical of Red River. In 1988, after the reunion of the PCUS and UPCUSA churches, the women’s groups of both organizations were merged into the Presbyterian Women of the PC(USA). The Women of the Church (PCUS) Collection is an artificial collection that brings together the minutes, reports, histories, annual meeting programs, scrapbooks, printed material, and administrative files of the women’s groups of the Presbyterian Church in the United States (PCUS) in Texas at the Synodical, Presbyterial, and congregational level. A small amount of material on Synods in Louisiana, Arkansas and Oklahoma, as well as a collection of publications from the Board of Women’s Work at the General Assembly is also included. Extent: 1 ft., 7 in. William “Bill” Irvine Woods, a Presbyterian minister, was born November 25, 1939 in Columbia, South Carolina. After receiving an English degree from the University of South Carolina, he enrolled at the Austin Presbyterian Theological Seminary in 1962. He graduated from the Seminary in 1966, and was called to be Pastor at both Old Waxhaw Presbyterian Church and Faith Presbyterian Church in Lancaster, S.C. Woods’ ministry in South Carolina was marked by his active commitment to youth ministry, migrant ministry, and mental health issues. In 1973, Woods resigned from both Old Waxhaw and Faith Presbyterian Churches, and accepted a call to become Associate Pastor of Westminster Presbyterian Church in Austin, Texas, under Reverend Joe R. Cochran. With Cochran’s resignation in March 1976, Woods became acting Pastor. Due to financial difficulties, Westminster decided to retain only one pastor, and Woods’ was forced to dissolve his ties with the church in January 1977 when a new pastor was named. In the subsequent years, Woods accepted numerous invitations to deliver sermons at other churches, primarily in Texas. Woods then embarked on secular work. In 1983, he became an executive assistant in the Department of Geological Science, a position he held until his retirement in 2006. This collection includes diaries, correspondence, creative works, minutes, printed material, and photographs (1870-1988), arranged in three subgroups, that document Reverend William I. Woods and the churches he served. Mrs. J. S. Wooters was a member of First Presbyterian Church in Crockett, Texas. The Mrs. J. S. Wooters letter was sent to Samuel Mills Tenney, a Presbyterian pastor, in 1926. It discusses the history of First Presbyterian Church in Crockett, Texas ca. 1848-1860. Frank Hall Wright (1860-1922) was an evangelist in the western United States. Wright was born January 1, 1860 in Oklahoma (then considered Indian Territory) to a father who was a chief of the Choctaw Nation and a mother who was a Presbyterian missionary. He graduated from Union College in 1882 and then from Union Theological Seminary in 1885. After his ordination, he traveled the United States preaching as an evangelist and missionary to Native Americans. The Frank Hall Wright Sermons are typed, bound sermons delivered by Wright at First Presbyterian Church of San Antonio in January 1916. John Young (? – 1890 or 1891) was a Presbyterian minister in Texas. He was ordained by the Central Texas Presbytery in 1887 or 1888 and served congregations in Temple (1888), Unity Church in Turnersville, and Gatesville (1889-1890). Miss Bettie Currie (1839-1930) was the aunt of Thomas White Currie who served as president of the Austin Presbyterian Theological Seminary from 1922-1943. This collection consists of one letter from Rev. John Young to Miss Bettie Currie. The letter discusses Young’s recent move to Turnersville, his work there, and the Currie and Young families. John Henry Zivley (1824-1905), a Presbyterian pastor in Texas and Alabama, was born in Shelbyville, Tennessee on October 29, 1824. He attended Mt. Reserve Academy, Lane Theological Seminary, and Union Theological Seminary before his ordination on April 21, 1848. He served several churches in Alabama before moving to Texas. He served as an evangelist in Austin (1853-1881), a pastor in San Saba (1881-1885), a home missionary to San Angelo and Ballinger (1885-1888), and as pastor to Colorado (1890-1906) and Big Spring (1896-1901). He obtained a doctorate of divinity from Austin College in 1898. He died after an extended illness on February 12, 1905. The John Henry Zivley sermon and notes document the dedication of a new Presbyterian church in Lockhart, Texas in 1880.